When new information fits with what you already know and understand, rather than existing as an isolated group of facts, it enriches your understanding and increases your competence. This is why study techniques asking yourself questions while reading new material, or asking how this relates to other things one knows are effective. The information is incorporated an existing framework. Take for example when we learn about plants, leaves and stems as children, we don’t learn about these ideas in isolation but in association – we learn that plants posses leaves and stems, and we attribute those ideas to those of our existing framework of the plant. Remember how learning corresponds to building neural connections? Well we can promote that by bringing our to-be-learnt information to mind more frequently. Each time we recall what we learnt, we retain more of it. 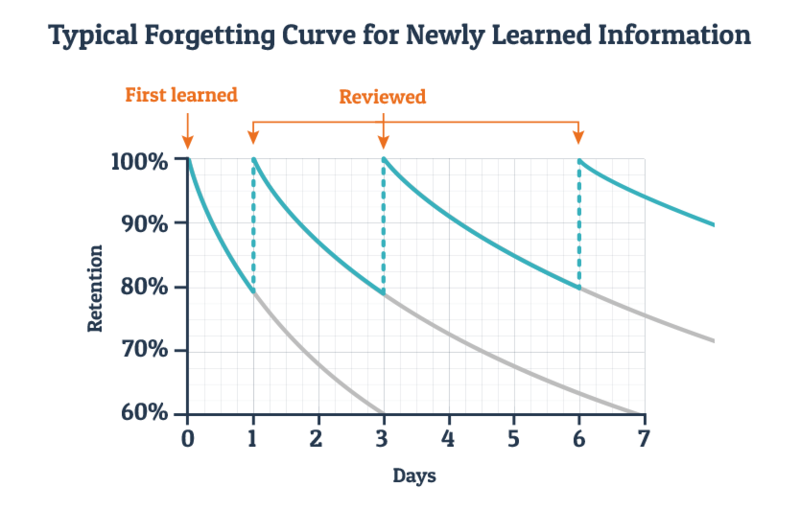 This can be easily visualised with the learning curves cousin – the forgetting curve. Each time we retrieve that newly learn information, the level at which we retain that information is higher. Retrieval occurs naturally when a learned fact or skill is useful to daily life, like picking up a language in a new country. But in school situations dreaded tests, quizzes and exams provide a chance to bring newly learned information to mind. The “testing effect” is a robust and well known finding. Fortunately all testing, including ‘low pressure’ practice testing seems to result in benefits, so you can start testing well before the stress of summertime exams kick in. 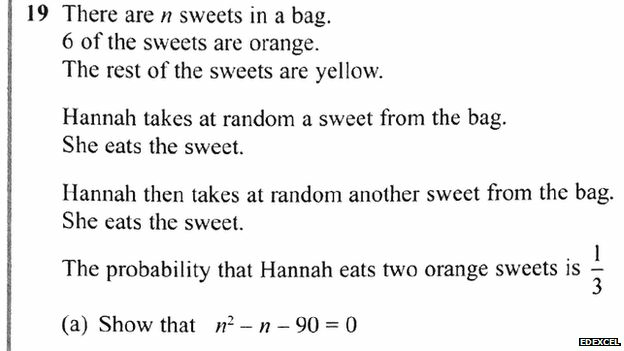 There are some caveats to retrieval practise however, the tests need to be suitably challenging with weaker cues for recall, and the time between the tests need to be sufficiently long. These are our desirable difficulties. They make the learning more effortful and therefore more active. The tests do still need to be manageable though – if nothing can be answered and you have no feedback then the effectiveness of retrieval practise is greatly reduced. Luckily practice testing remains effective when you create the questions yourself. The tests need to be challenging, yet still manageable. Retrieval practise is as simple an idea as it can be challenging. It’s effectiveness stems from active learning and active recall, which means you need to work to succeed. It’s no silver bullet but it can help you tremendously if you put in the time and effort required of you. So stop rereading the same book, take your time, and in a couple of hours or days or weeks see how much you remember, you might surprise yourself.